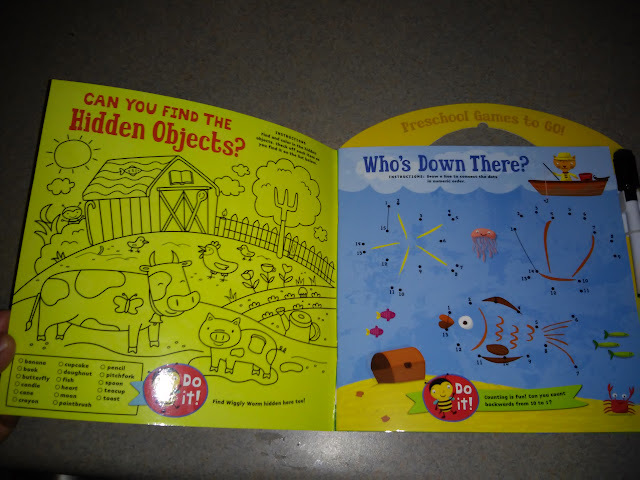 Ever been sitting the doctor's office, in the car, or just need a quiet moment at home and can't find ANYTHING for your preschooler to do that will keep them calm and quiet for a little bit???!! 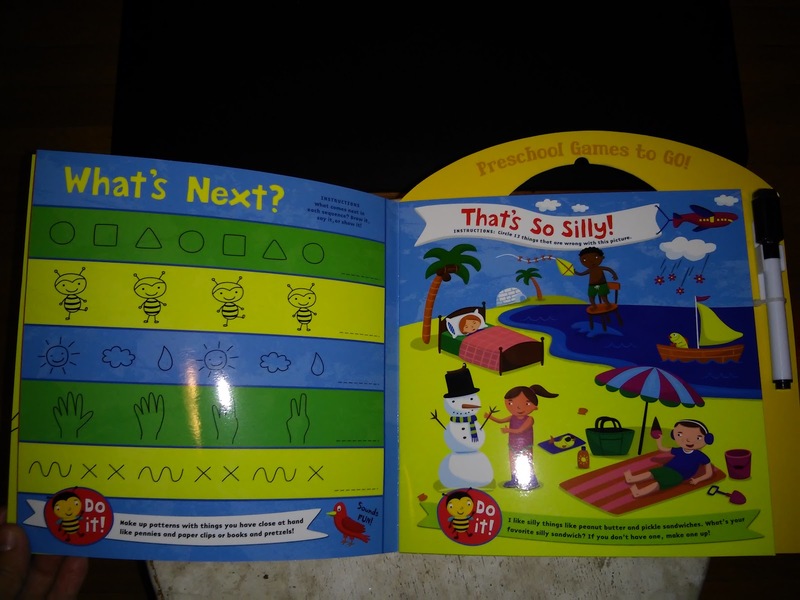 I have definitely been there! 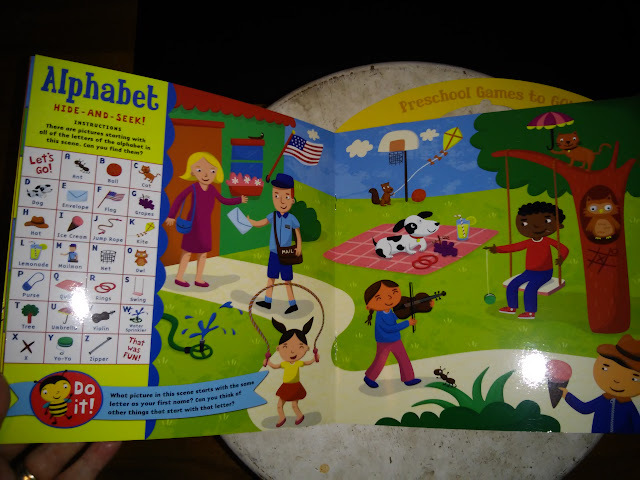 But now whenever I need a quiet moment or need the kids to sit quietly for a couple minutes, I pull out the Preschool Games to Go from Peaceable Kingdom! Filled with 17 pages of super-fun activities, these Games to Go books will keep kids thinking, playing, and laughing for hours. 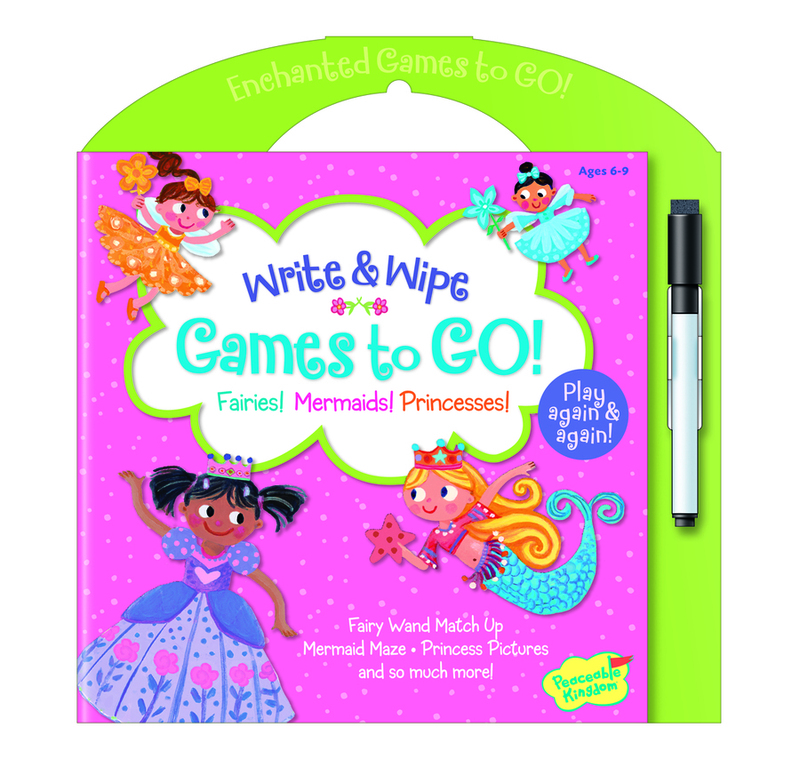 A write and wipe pen with an eraser is included for reusable fun! 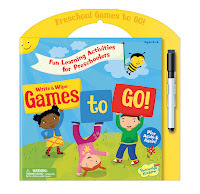 Games to Go are easy to take along or to throw in a backpack for long bus rides, downtime, or waiting in the Dr's office! 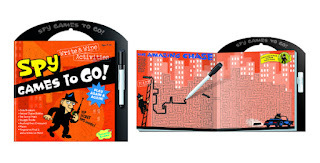 With different themes, games, and ages, there is a Games to Go activity book for everyone. My 3 year old daughter is at the age where it is hard to sit still without having her hands busy and her mind busy. 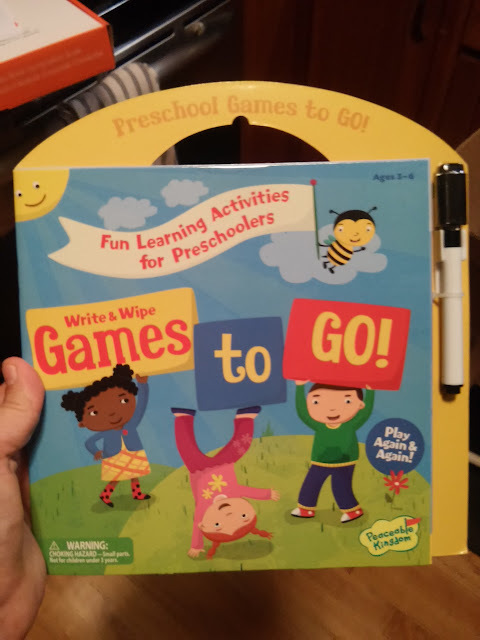 So when I saw the Preschool Games to Go, I knew it would be the perfect thing to keep her busy in the car, while sitting in the car waiting for her brother to come out of school, and during "school" hours at home when she wants to do some fun learning activities! 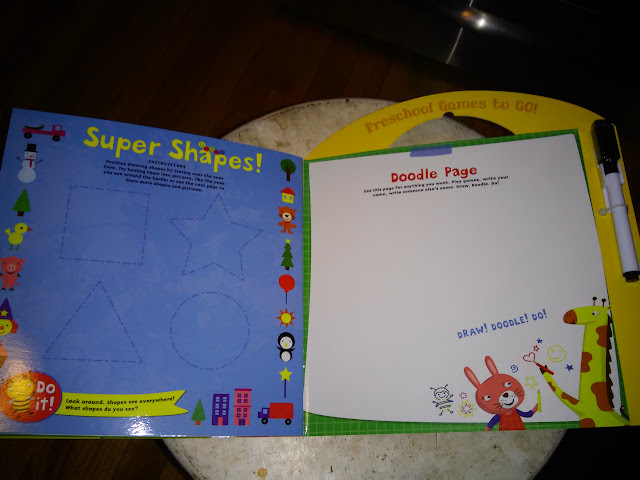 My daugher LOVES dry-erase markers right now and loves how she can try her best and if she makes a mistake, she can just erase it and try again. 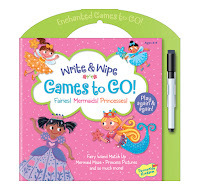 This book allows her to do activities, make mistakes, erase them, try again and do it OVER and OVER and OVER! There are hidden object games, dot-to-dot, hide-and-seek, shapes and even a doodle page where they can draw whatever they want! 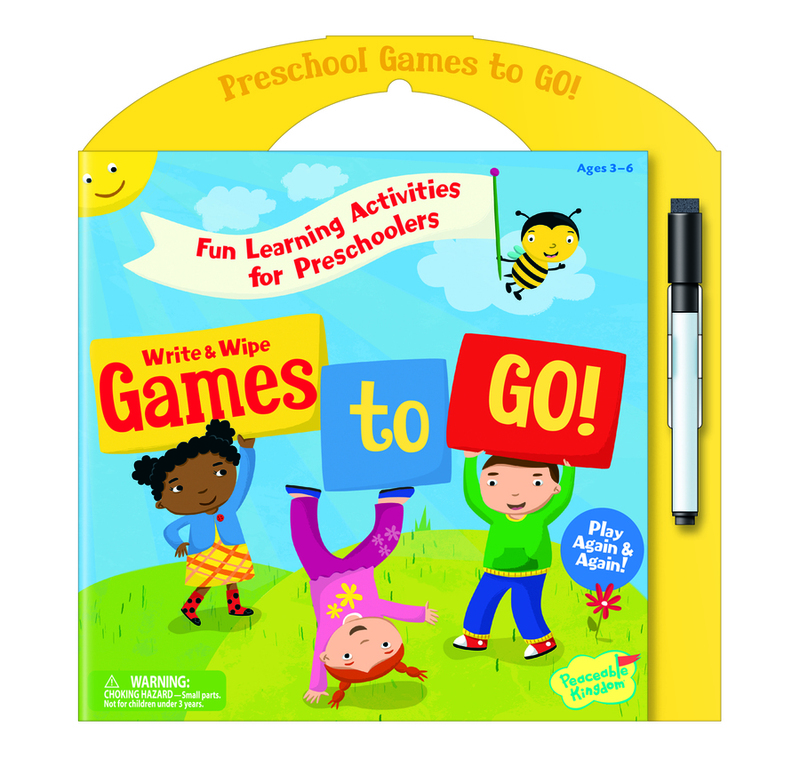 Peaceable Kingdom is generously offering (1) Games-to-Go to TWO lucky winners!